An esports tournament that piggybacks off the Olympics looks set to legitimise the sport and open it up to big brand sponsorship. 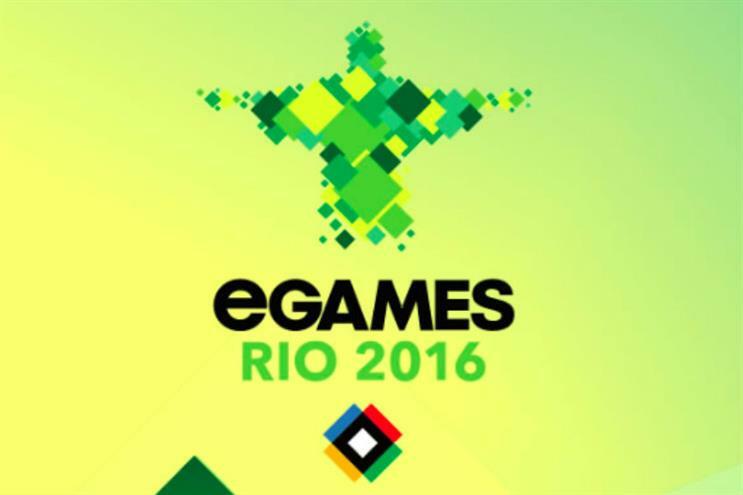 The UK government is backing the tournament, called eGames, and its first event will launch on the same day as the Rio 2016 opening ceremony. The event takes place in Rio, is described as a "two-day pop up" event and will pave the way for the first full eGames event in Pyeongchang in South Korea in 2018, the year South Korea hosts the Winter Olympics. It is hoped the Rio showcase will attract "partners" to the cometition and drum up interest in eSports. Another eGames is also being planned for Tokyo in 2020, which is the year the city will also host the Olympics. Despite positioning itself as the gaming Olympics, the eGames official website is keen to stress it is not affiliated with the International Olympic Committee or the Olympic Games. M&C Saatchi Sport and Entertainment head of digital Haran Ramachandran said the unofficial tie-up with the Olympics "will help legitimise the sport" in the eyes of brands and believes some big brands can be expected to sponsor the tournament. Ramachandran highlighted how Samsung had sponsored the now defunct World Cyber Games in South Korea but believes the sponsorship did not work because it was "ahead of its time". Monster and Red Bull have got involved in esports sponsorships already and Ramachandran believes brands such as Adidas or Reebok could be a good fit for sponsorships of Fifa tournaments at the eGames. As yet none of the games that are to be played at the eGames have been revealed. Ramachandran added that another sponsorship opportunity could involve a brand sponsoring a country team rather than the competition as a whole, in the same way Adidas sponsors the Team GB Olympic team. However, whether eGames attracts the best esports players remains to be seen because of the absence of any prize money. In contrast, gaming platforms Twitch and FaceIt have just announced there will be $3.5m in prize money up for grabs in the first ever eSports league they are organising. The eGames is run by the International eGames Committee (IEGC), which has been set up in order to positively shape the future of competitive eSports gaming. Each country will have a national squad of male and female gamers aged over 18-years-old and competitors will vie for gold, silver and bronze medals rather than cash prizes. The only countries to have signed up so far to the Rio competition are Britain, Canada, Brazil and USA. Not-for-profit IEGC will donate any profits to gaming charities.